#1Qual è il ricordo più bello che porterai con te tornando in Scozia ? "Probabilmente il ricordo più bello della mia stagione qui al Notts County è la notte ad Anfield. É la partita più importante che ho giocato in questa stagione, ovviamente è stata una grande esperienza giocare in uno stadio come quello e la squadra fece davvero bene. Questo, più di tutto, è il ricordo migliore che ho". #1What is the best memory you'll take back to Scotland? 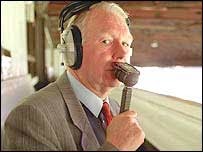 "I will probably say that my best memory from Notts County to take back with me will probably be the night at Anfield. It was probably the biggest game that I have played in this season, it was great experience obviously to go play in a stadium like that and obviously to play so well in the game, the team was excellent that as well – that overall is probably the best memory I have". 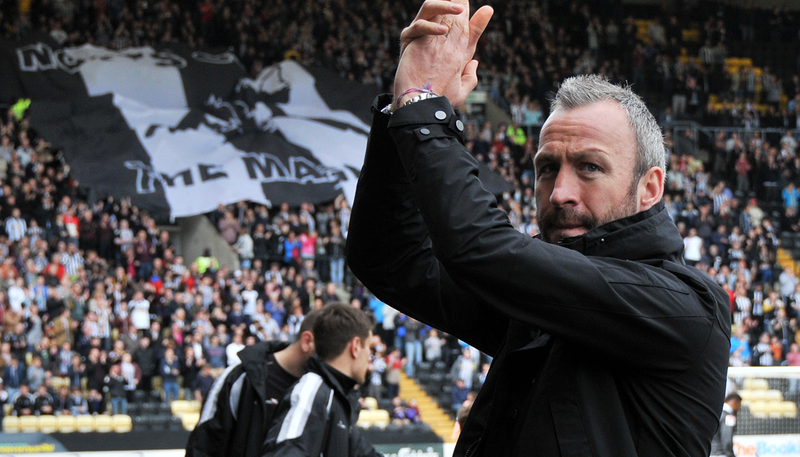 It has been a good week for Notts County. Watching the two games was a very tense experience for all of us, because the margins were so narrow. 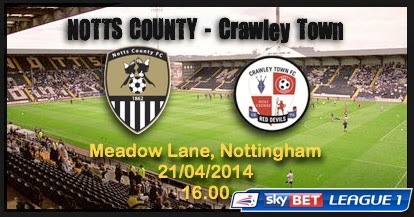 It was only by 1-0 (a headed goal by Jimmy Spencer) that Notts beat Crawley on Easter Monday. His first half goal gave them an early advantage, then they had to defend very spiritedly in the second half. 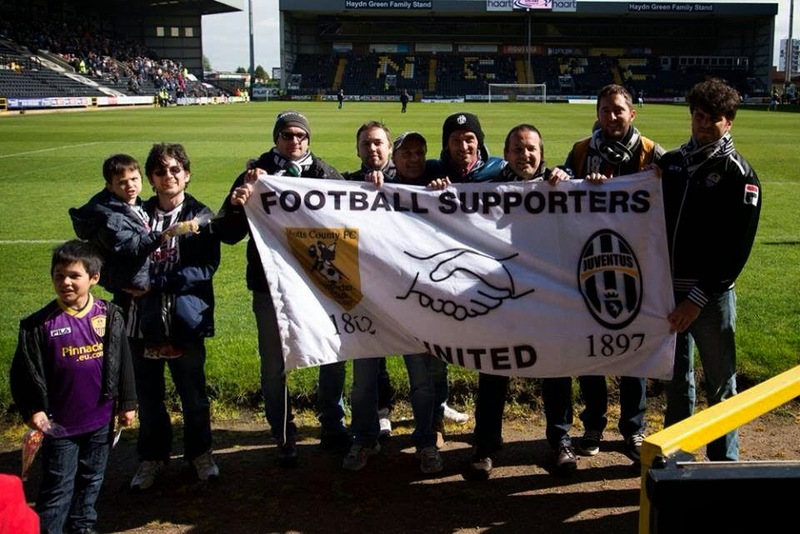 Colin Slater, giornalista della BBC di Nottingham e voce del Notts County per interviste e live radio delle gare, ci ha inviato una mail raccontandoci le emozioni delle ultime due partite e augurando una buona settimana anche alla Juventus! 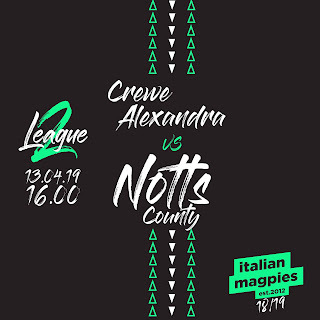 É stata una buona settimana per il Notts County. Guardare due partite è stata un'esperienza molto nervosa per tutti noi, perché i vantaggi sono stati davvero ristretti. 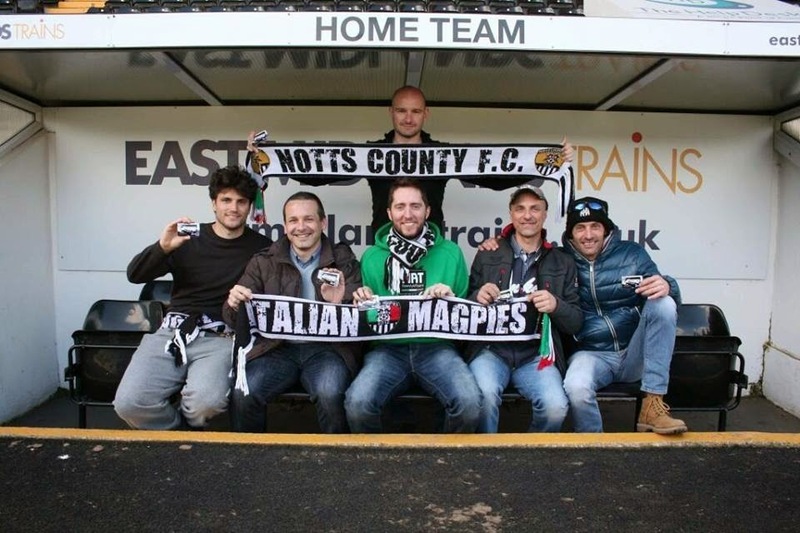 É solo per 1-0 (un colpo di testa di Jimmy Spencer) che il Notts ha battuto il Crawley il Lunedì di Pasquetta. Il suo gol, arrivato nel primo tempo, ha dato un immediato vantaggio, dopodiché la squadra si è dovuta difendere per tutta la ripresa. 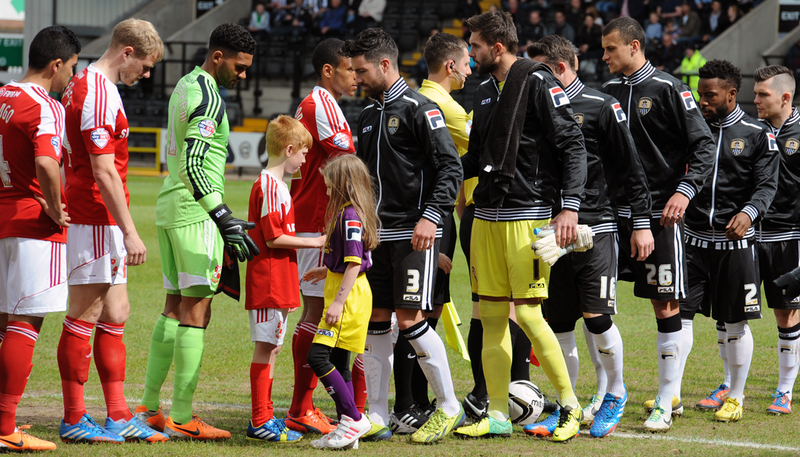 Notts County: Bialkowski, Dumbuya, Sheehan, Liddle, Grealish, Mullins, Spencer, Murray, Campbell-Ryce, Thompson, Hollis. A disposizione: McGregor, Waite, Spiess, Vela, Boucaud, Roberts, Tyson. Swindon Town: Foderingham, Thompson N (C), Stephens, Archibald-Henville, McEveley, Branco, Luongo, Cox, Byrne, Pritchard, Smith. A disposizione: Belford, Barthram, Barker, Thompson L, Gladwin, Storey, Waldon. 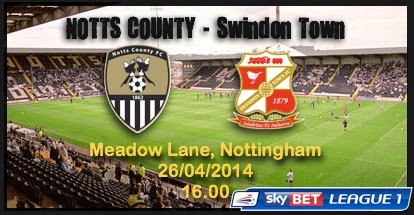 Notts County: Bialkowski, Thompson, Sheehan (c), Mullins, Hollis, Liddle, Grealish, McGregor, JCR, Spencer, Murray. A disposizione: Spiess, Dumbuya, Boucaud, Roberts, Dixon, Tyson, Waite. Crawley Town: Jones, Sadler, Connolly, McFadzean, Torres, Walsh, Proctor, Tubbs, M Jones, Edwards, Dicker. A disposizione: Essam, Fallon, Bulman, Monakana, Maddison. 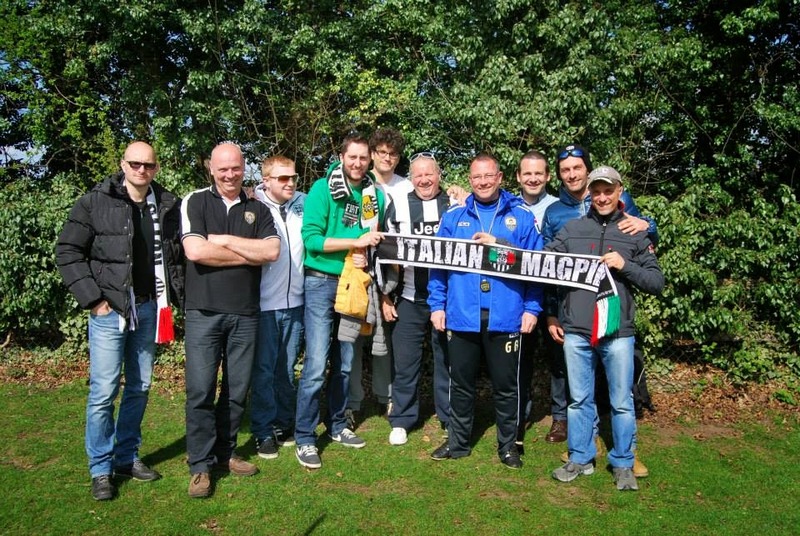 The latest visit for the Italian Magpies which included Giorgio Zunino, Roberto Columbo, Davide Janes, Stefano Panzeri, Daniele Valvassura and Gabriele Geddo started at east Midlands airport when Pete Pacey in his minibus, Joshua Shore and I met them and then drove them to their hotel in Nottingham. After dropping off their luggage we all went for breakfast before heading off to the training ground to meet the manager Shaun Derry and the players to watch the players train for the game. 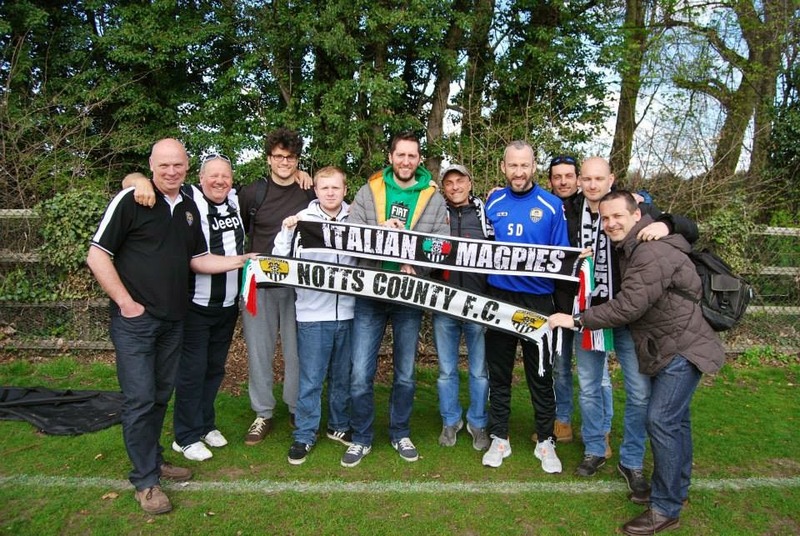 Shaun Derry had time for a chat with the Italians, talking about their visit to Nottingham and about Juve doing so well in Serie A and the Europa League. He invited them to watch from any part of the field and take photos. 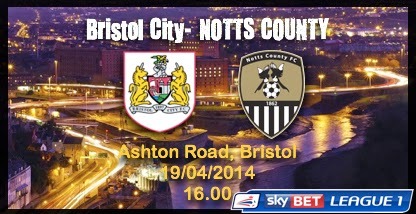 Bristol City: Moore; Nosworthy, Williams, Osborne; Wagstaff, Elliott, Pack, Cunningham; Emmanuel-Thomas; Paterson, Baldock. A disposizione: Richards, Moloney, Reid, Kelly, Pearson, Burns, Barnett. Notts County: Bialkowski, Thompson, Mullins, Hollis, Sheehan (c), Vela, Liddle, JCR, Grealish, Murray, Spencer. A disposizione: Spiess, Dumbuya, McGregor, Waite, Boucaud, Roberts, Tyson. Non appena possibile inseriremo la versione testuale in lingua italiana ed i sottotitoli sul video. Many thanks to Dane Vincent, Andy Black, Callum McGregor and Notts County Football Club. Per la prima volta abbiamo assegnato il premio di miglior giocatore della stagione. Quest'oggi a Nottingham abbiamo consegnato la targhetta* celebrativa al vincitore. La scelta del vincitore è stata così decisa: una giuria scelta di tifosi inglesi ed italiani ha fornito le proprie tre preferenze, un podio virtuale di nomi. Al primo 5 punti, al secondo 3 e al terzo 1 solo punto. Raccogliendo tutte le scelte, è stata compilata una lista di 5 finalisti. Il voto, aperto a tutti, è stato sommato a quello della giuria. *Si ringrazia FUNKY FABS per la realizzazione grafica. 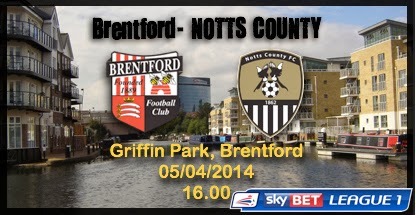 Brentford: Button, Forshaw, Craig, Douglas, Donaldson, McCormack, Dallas, Judge, Diagouraga, Bidwell, Tarkowski. A disposizione: Dean, Grigg, Bonham, Saville, Reeves, Yennaris, Trotta. 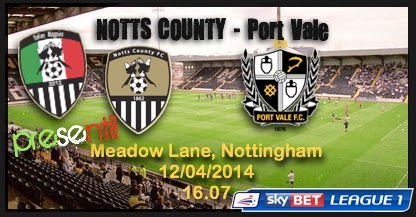 Notts County: Bialkowski, Dumbuya, Sheehan (c), Hollis, Mullins, Vela, Liddle, JCR, Murray, Spencer, Tyson. A disposizione: Spiess, Leacock, Dixon, Grealish, McGregor, Thompson, Boucaud.